July 13 holds special importance for writer and publisher Leland Cheuk. Not only is it the day that, in 2014, he found out his life had been saved by a successful bone marrow transplant from a stranger, but it’s also the day that his first novel, The Misadventures of Sulliver Pong, was picked up by the Chicago Center for Literature and Photography. Two years later, on the same day, Thought Catalog sent him an offer for his first story collection, Letters From Dinosaurs. 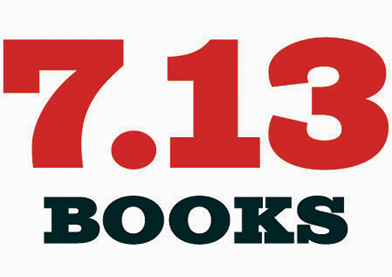 So when Cheuk decided to start his own small press in 2016, he didn’t hesitate to name it 7.13 Books (713books.com ). Publishing four to five fiction titles a year from debut writers, the press seeks to offer “a publishing experience that’s respectful to and even reverent of first-time authors.” Cheuk wants the press, which is located in New York City, to avoid the pitfalls of both traditional publishing houses—which he describes as elitist and at risk of publishing the same kinds of books—and indie presses, which he admits are often understaffed and unresponsive. Cheuk replies to each submission within four to eight weeks and offers brief constructive feedback even for those he rejects. The writing—not a writer’s pedigree—matters to him most. In July, 7.13 Books will publish Willie Davis’s Nightwolf, about a seventeen-year-old dropout whose brother has gone missing, and in the fall the press will release Jenn Stroud Rossmann’s The Place You’re Supposed to Laugh, about a working-class family in California’s Silicon Valley. Cheuk says both novels have wit and humor, noting that his own taste leans toward literary comedies. Submissions of story collections and novels are open until November 1 via Submittable.